In 1909, more than 3.7 million people attended the Alaska-Yukon-Pacific Exhibition (AYP), held on the campus of the University of Washington. The exhibition was designed to show off the growth and development of the Pacific Northwest, specifically Seattle. 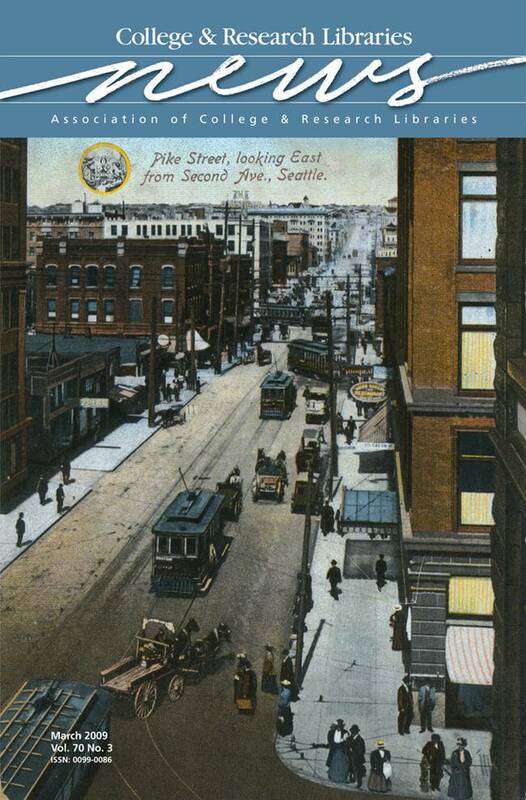 This month’s cover features a souvenir postcard from AYP, providing a glimpse at downtown Seattle in the early 20th century. A hundred years later, academic and research librarians from across the globe will gather in Seattle for the ACRL 14th National Conference. Complete details on the conference, including virtual conference information, are online at www.acrl.org/seattle. For more information on AYP, visit the University of Washington Special Collections Division at www.lib.washington.edu/specialcoll/exhibits/ayp.